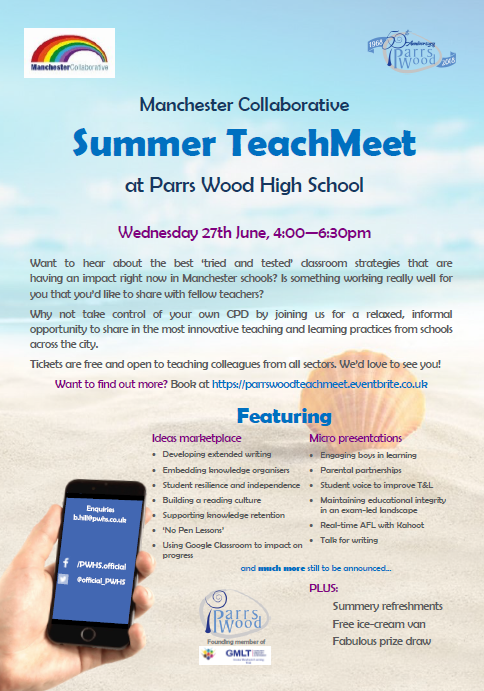 One of our Advantage Teaching School members, Parrs Wood, is running a Summer Teachmeet on Wednesday 27th June 4.00-6.30. A Teachmeet gives teachers an excellent opportunity for some free CPD and to share and discuss strategies that work in the classroom – and there’s free ice cream! If you would like to attend, please sign up on this link and add it to Bluesky for your training records.